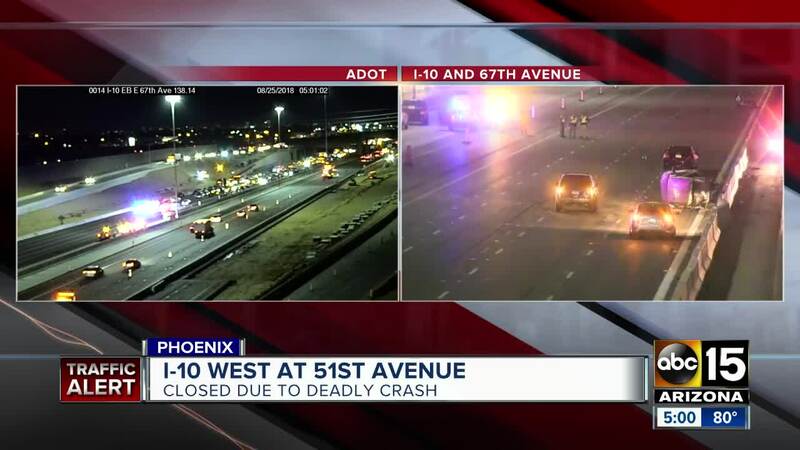 Authorities say one person is dead after a crash involving three cars in the west Valley early Saturday morning. The Department of Public Safety responded to the crash on westbound Interstate 10 just before 67th Avenue around 2 a.m. According to troopers, a vehicle had run out of gas and stopped in one of the lanes, which caused a second vehicle to stop behind it. A third vehicle did not stop and struck the second vehicle, causing it to strike the first vehicle that was out of gas. Authorities say the driver of the second vehicle, 29-year-old Marisela Noriega, was pronounced dead at the scene. A passenger and two infant children also in the vehicle were taken to local hospitals with minor injuries. The driver of the third vehicle which struck Noriega's has been identified as 35-year-old Jose Manuel Sapata Jr., who fled the scene but was later located and arrested. Sapata Jr. is facing charges of manslaughter, endangerment, leaving the scene of a fatal collision, aggravated assault, and criminal damage. The driver of the first vehicle that ran out of gas also fled the scene but was later found and arrested. He has been identified as 26-year-old Paul Richard Portillo-Aleman. He faces charges of manslaughter, endangerment, aggravated assault and leaving the scene of a fatal collision. According to DPS, Sapata Jr. and Portillo-Aleman are both suspected of driving impaired. 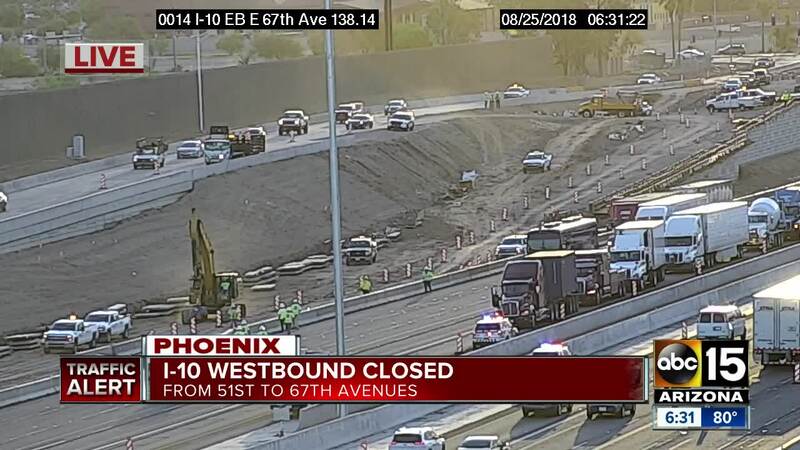 I-10 westbound was closed at 51st Avenue for several hours while troopers and detectives investigated. Multiple other crashes occurred as a result of the backup, DPS says, but no injuries were reported in those incidents. UPDATE: DPS is now directing those in backup to turn around to get back to 51st Avenue to get off the freeway. They are starting at the back of the queue. Please follow the directions of the officers directing traffic. DPS says the incident did not involve a wrong-way driver.